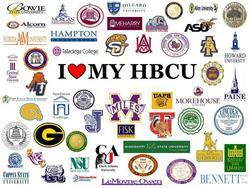 I think a lot of alumni of HBCUs are wealthy, but they don't give, so the national giving rate across the board is 13 percent, alumni giving rate. Support your local Hampton Alumni Chapter! Get involved! Attend events, meet new friends and participate in activities to raise awareness and giving for Hampton University. GIVE BACK! Stay up-to-date on the latest news and events on HBCUs and tune in weekly to HBCU Digest Radio.